After watching the clouds rolling in all day here I decided that the only way I’d have a chance of observing the peak of the Draconid meteor shower tonight would be if I followed the few gaps there were in the clouds by car. So, as the Sun was setting, I set off on a drive around Somerset looking for patches of clear sky. Unfortunately every time it looked as if I’d get a glimpse of the stars the clouds closed up obscuring everything. 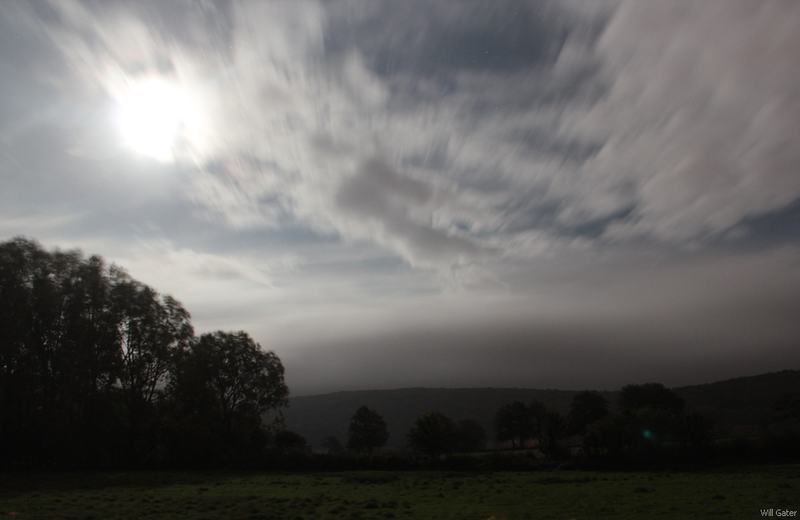 With complete cloud cover overhead I set off home thinking that was the end of the night. Thankfully when I was about 15 miles from home the clouds broke and Jupiter and the Moon appeared to burst out of them in front of me. In an incredible stroke of luck there was a big lay-by about 100 metres ahead, so I pulled over and parked up. 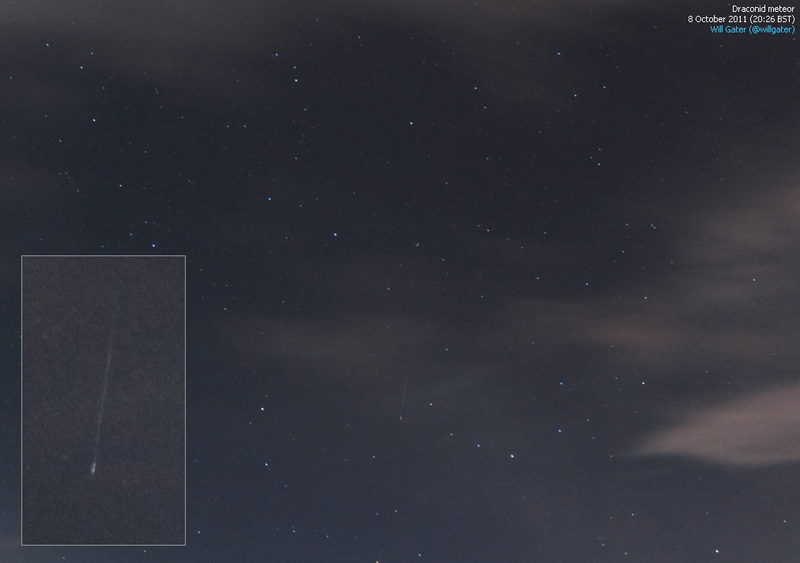 With small swathes of clear sky appearing overhead I set up the camera and began taking 20 second exposures at ISO 800. Before the clouds closed in again I saw four Draconid meteors including a relatively bright one which I managed to photograph (below). It was a lot of effort to capture just one meteor on camera. Hopefully next time the clear skies will come to me so I don’t have to go chasing after them.